FLV or Flash video is the standard format for uploading videos online. It compresses video into smaller size without affecting the quality, thus making it easier to upload and stream online. Various sites like YouTube, Dailymotion, Vimeo and Hulu feature these types of videos. Some of them are music videos, which you may download to play on your computer without having to go online. However, if you want to get only the audio part of the video, you may convert flv to mp3 free. There are various applications that you can use for this. Some of them needs installation, while others are web based so you can use them as long as you are connected to the Internet. This is a web based application that you can use. You can use it to convert videos from any site to MP3 by pasting their URL on the URL field and clicking on grab it. That’s how simple it is to use this tool. Make sure that your java is enabled as this is needed by the site. If you have FLV videos saved on your computer, you can also use this free flv to mp3 converter for your conversion. Click on Convert Local File to Mp3 button just below the green Grab It button and choose the video that you wish to convert. Choose your output settings and click Convert. 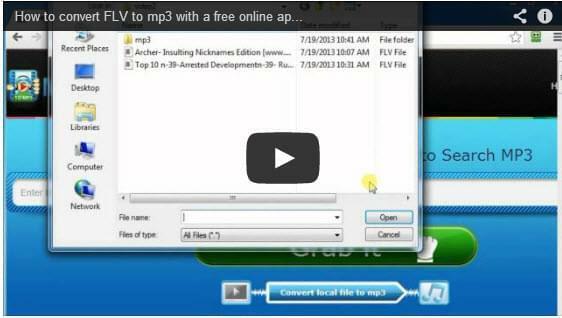 This is another free tool that you can use to convert FLV videos to mp3. However, it requires downloading and installation. Like the first method, it can also convert videos to mp3 directly from sites using the video’s URL. There is also an option to convert videos saved on your computer. Aside from the fact that it needs to be installed, another drawback is that it cannot be used to convert FLV to MP3 Mac. So if you are a Mac user, this program will not work for you. Furthermore, you will receive several prompts asking you to install their toolbars, which can be annoying. This is a powerful application, though it only supports conversion of videos from YouTube. If you are getting your videos from other sites, you may choose from the first two methods. But if you are converting videos from YouTube, then this is an amazing tool. It lets you download videos directly from the site by copying the URL and pasting it on the blank field on the program and clicking start. You can also search for mp3 music to download by typing in the keywords. It has a built-in player so you can play your files on the application without having to launch another program. It also supports batch mode so you can download files quickly and efficiently. All the three methods given are effective in converting FLV videos to mp3. But as mentioned, they have their benefits and drawbacks. Depending on your preference and needs, one application may be better for you than the other. 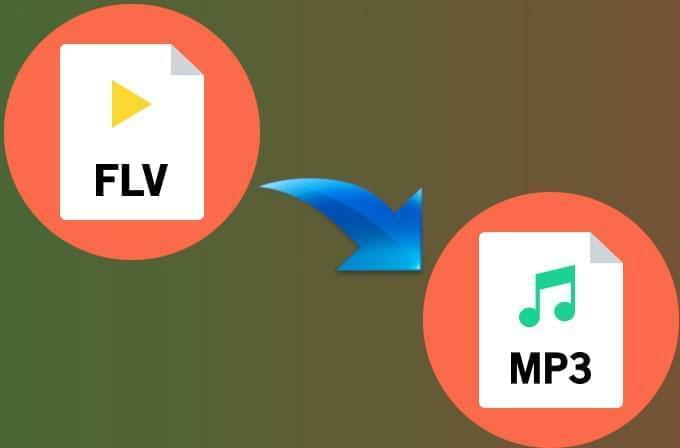 If you want to convert FLV to mp3 online without the need to install the converter, the first method, which is MP3 Grabber is the best choice. If you prefer using an installed program and you are not using Mac, then use Freemake. 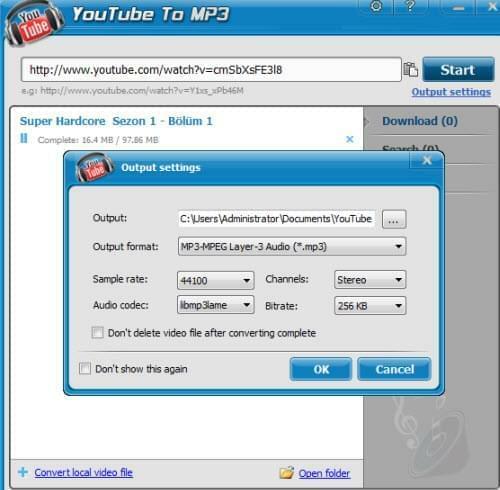 If you are only getting videos from YouTube and you would like to use a program that supports simultaneous download and conversion, then Apowersoft YouTube to MP3 is a must try.